David Norris secures the nomination of Fingal County Council to run for the Presidency; he needs three more to run. David Norris needs the support of four county councils in order to run for President; today he received his first endorsement from Fingal County Council. 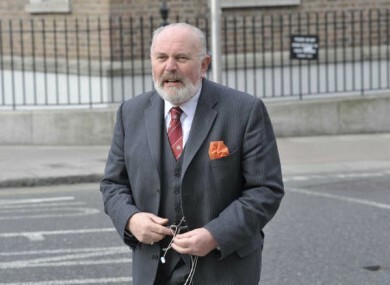 SENATOR DAVID NORRIS’S presidential campaign has been given a major boost this evening, with the news that his candidacy has been formally backed by Fingal County Council. The council gave its formal support to Norris’s campaign this afternoon, on foot of a motion put by Balbriggan independent councillor David O’Connor. The Fingal motion was supported by the council’s two independents and four Fianna Fáil councillors, as well as a majority of the nine Labour members. One Labour councillor abstained, while the six Fine Gael members and a number of other Labour councillors opposed the move. One member who attended the meeting said the motion was “absolutely, definitely not an endorsement” of Norris’s candidacy, but was merely intended to allow him appear on the ballot paper for October’s election. But a question mark hangs over the validity of Fingal’s endorsement, given the decision of Wexford County Council to rule a similar motion out of order. Fianna Fáil councillor Malcolm Byrne, who proposed the motion, told TheJournal.ie that council chairman Michael Kinsella (Fine Gael) refused to allow discussion on the motion – because the presidential election had not yet been formally called. A candidate could not be endorsed by the council for an election that did not yet exist, Kinsella said, and so the motion was deemed out of order. When Byrne asked for the motion to be dealt with ‘in principle’, Kinsella refused to facilitate a discussion. Byrne added that the Labour members, with whose support Fine Gael control Wexford County Council, remained silent on the matter. Instead, the council passed a motion inviting Norris to address Wexford’s next monthly meeting, set for June 13. A councillor who attended the Fingal meeting said no such concerns had been raised by its own chairman, Labour mayor Ken Farrell. Section 16 of the Presidential Elections Act 1993, under which presidential elections are held, declares that a council’s nomination cannot be passed “before the date of the making of the presidential election order” – or, in other words, before the election is actually called and nominations are sought. In order to appear on the ballot papers, Norris is required to win the support of four county or city councils, or to be nominated by twenty members of the Oireachtas. While Norris has indicated that he would be willing to pursue both options in order to maximise his chances of running, the relatively small numbers of independent members of the Dáil or Seanad means his chances are stronger by seeking nominations from four local authorities. A motion backing Norris’s candidacy has been submitted for the agenda of Longford County Council’s next Monday. Email “Norris campaign wins first council backing - but question marks over legitimacy”. Feedback on “Norris campaign wins first council backing - but question marks over legitimacy”.